Why Should I Use the LPI® 360 vs. Other Assessment Tools? Developing confident Leadership At All Levels is proven to make a difference through personal growth, team camaraderie and healthy organizational culture change while focusing on driving growth through the bottom line. The LPI® is the only leadership assessment backed by over 25 years of case studies and continual data analysis to provide empirical support for a foundational, evidence-based approach. This robust assessment empowers you to share your vision by developing a personal action plan to become the best leader you can be. To help your organization achieve a healthy culture, employees at every level – from C-suite to the front line – should develop their ability to be leaders to those around them. Best-selling authors and founders of The Leadership Challenge, Jim Kouzes and Barry Posner have found through their research that engagement scores are 25% to 50% higher among groups with leaders who exhibit exemplary leadership through The Five Practices of Exemplary Leadership®. Leadership is not a self-guided journey. It takes deliberate and practiced teamwork, not relying on organizational titles or positions. The LPI® 360 assessment allows teams to best understand how effectively they collaborate together. Through the Self and Group reports, teams understand how to work together to clearly define an alignment of strategy and goals through their behavioral frequencies. Leaders clarify values by finding their voice and affirming their shared values. Leadership values and behaviors are the cultural enablers that form the foundation for any sustained change. The LPI® is focused on long-term, impactful change through a test-retest system that allows leaders and groups to compare their results over a period of time. For most organizations, today’s capabilities will not be sufficient for achieving tomorrow’s goals. The LPI® is centered on The Five Practices of Exemplary Leadership, a series of behaviors determined by asking leaders what they are doing when at their personal best. The results, backed by over 25 years of continued analysis, hold true as skills and attributes that are critical to future success. Successful companies strive for a positive impact with their customer service. They are actively concerned about the quality of the relationships with their customers, listening to voices from constituents and key stakeholders from across the board. The best leaders have the same desire for seeking feedback, both positive and negative, from those around them in a continual effort to understand how they are doing. The LPI® 360 assessment gives you that connection through utilizing feedback from multiple constituents to gain multiple perspectives and form the overall picture. By painting such a complete picture, you can pinpoint the consistencies and inconsistencies, seeking to challenge the process and determining what to improve. The LPI® is foundational in providing an effective framework for achieving your most critical customer, financial, and employee-oriented goals. Through an observable set of skills and abilities, the LPI® allows leaders to ask themselves “what can I do to make a difference?” The LPI® 360 assessment offers individuals a way of independently measuring their own leadership behaviors while gaining insight from others in a full 360-degree environment. 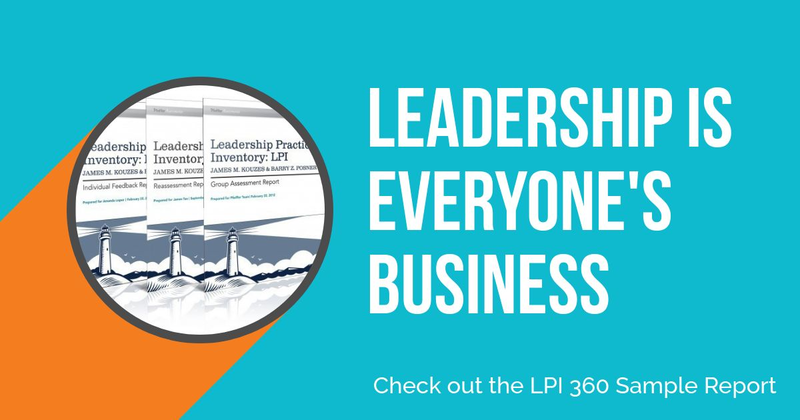 In just the past decade alone, over two million leaders and their observers have taken the LPI® 360 assessment. 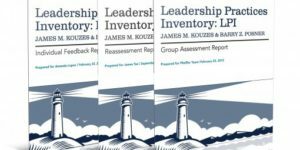 As a measure of frequency related to thirty unique leadership behaviors, the LPI® 360 assessment provides a sound and validated tool to help leaders gain perspective. It doesn’t measure personal style, skills or intelligence, rather focusing on the cohesive interaction, allowing for reflection to determine ways to improve effectiveness.